Paul Parker explains what Arsenal need to do if they are to challenge Chelsea for the Premier League next season. Arsenal launched their new kit yesterday and their players were saying all the right things about challenging for the title next season, but it will take more than a new set of threads to knock Chelsea off top spot. To mount a real challenge they need to make changes in every area of the pitch and sign some players. On their day, the squad they had last season were very good, but when it really mattered they slipped up in the league. There is still something missing. Here’s what Arsenal need to do if they are going to catch Chelsea. All great teams have great goalkeepers, and Arsenal don’t have a great goalkeeper. Not yet at least. 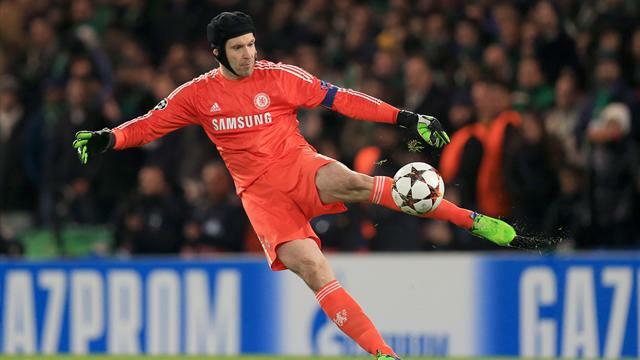 If they can manage to get Petr Cech from Chelsea it will be a big, big signing for the club. A player like that gives you a chance of competing because the number of goals they concede will drop with him in the team. Cech would give more belief to the rest of the team because he has stature. They will trust him to command his box and come for crosses. Cech is the kind of player who will give you 10 or 15 extra points a season. You have seen at Chelsea how many times someone goes one on one and he stops them at point-blank range. Everything was always close range because Chelsea’s defence sit so deep so he had to be a fantastic shot stopper. He is still a great goalkeeper and he can’t sit around as a No. 2. Seeking to move shows he has ambition and he wants to prove himself as one of the best goalkeepers in the world. As much as Jose Mourinho won’t want to lose him, and particularly to Arsenal, you can’t stop someone moving on if their heart is set on it. Cech still has a good career ahead of him and if he wants to stay in London I think it is only Arsenal who will interest him. He wants to win more trophies and if that’s at Arsenal then so be it. Mourinho loves to meddle but I don’t think you can interfere in someone’s career too much. I don’t think you can win the title if Per Mertesacker is in your starting XI. With or without the ball, he is a liability. Mertesacker isn’t comfortable on the ball and looks uneasy under pressure when he has to move it quickly. Defensively we’ve seen how many times people get in front of him at the near post; when he gets caught out he has no chance of recovery. You are asking a lot for a team who wants to have a lot of possession to have to rely on someone who doesn’t have a lot of pace. His positional sense is quite poor as well. Laurent Koscielny makes a few errors; he gives away a lot of penalties and gets booked for rash challenges. I’m not sure about Arsenal centrally at all, but if you are going to replace one then it has to be Mertesacker. We don’t know enough about Gabriel just yet so a new signing is essential if Arsenal are to address probably their biggest weakness. I wouldn’t like to pick a name out of the air – there’s a different one in the papers every day – and no one sticks out right now. But if you play for Arsenal, you have to be a centre-half who is good on the ball. Again, just look at Barcelona and how they have two central defenders who are willing to get on the ball, play high and squeeze the space in front of them. Chelsea’s weakness is that they have two centre-halves who are scared to push on because they are worried about their pace – that’s why they can’t squeeze the play. If Arsenal can find someone to perform with Koscielny in this manner then maybe they can squeeze the play in a forward area and do what Barcelona do. Santi Cazorla has to play week in, week out. He has to. He proved this season that he is an essential player for this Arsenal team. Jack Wilshere is a tricky one as I still don’t know where he fits into this Arsenal team. Everyone raved about his performance for England but that was against Slovenia and doesn’t really count. Even though he scored twice it was a game which England were expected to win and I think he still needs to show more consistency for his club. Francis Coquelin has done really well but I think they still need someone stronger with more of a presence in that central position. If you look at Barcelona, they have got Sergio Busquets. Most of the top teams have someone like that, who can battle and play the ball, but Coquelin can only do one thing. They need someone more substantial. 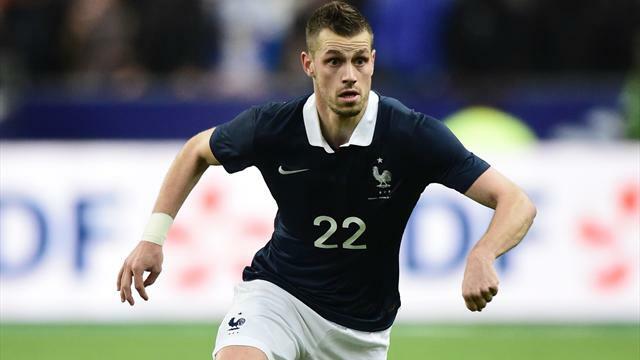 Morgan Schneiderlin has been repeatedly linked with Arsenal and I do think he would be an upgrade on Coquelin. Coquelin can tackle and is aggressive but he is liable to pick up bookings and the Southampton man is more comfortable on the ball and disciplined. 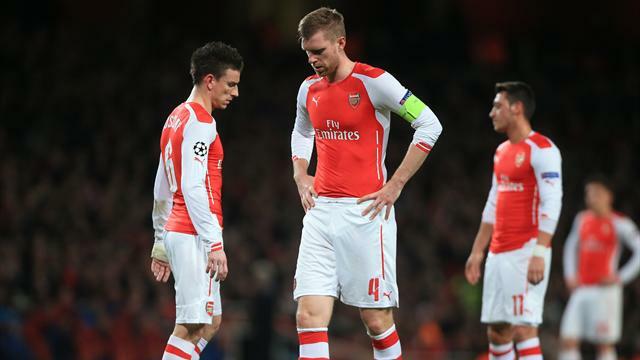 Coquelin gives Arsenal a high tempo but his discipline is a concern. Everyone knows Schneiderlin can play football so he could give Arsenal’s midfield a new dimension if he does join. I do like Giroud but Arsenal need a bit more. Danny Welbeck isn’t going to play as much through the middle as much as he wants and I still don’t see Theo Walcott playing centrally either. As much as he might dream about it, he is not going to be Thierry Henry. If you are talking about really trying to win the league, catching and going past Chelsea, then the honest truth is that none of them are quite up to it. 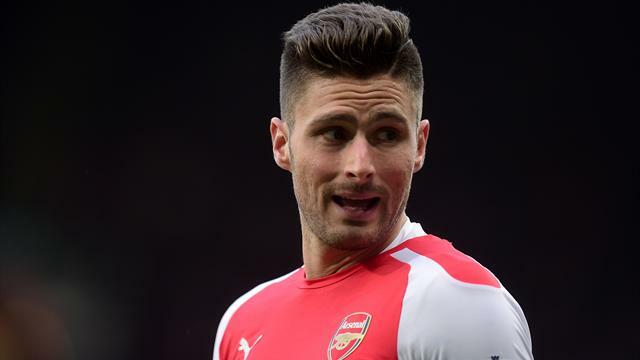 Chelsea won’t have any problems dealing with a player like Giroud. As we saw in the 0-0 draw at Emirates Stadium in March, they just sit deep and John Terry picks him off at the right moments. Arsenal need someone with a bit more pace, but not only that. They need someone with genuine attacking nous, which Walcott cannot provide. They need someone who can make clever runs as well. In short they need a Sergio Aguero, and with a player like that Arsenal would be a real threat. Aguero can deal with teams that sit deep and teams which play high. He can take on any kind of defence. Jackson Martinez could be arriving and he would be a great signing. I’ve watched him a lot in the Champions League and he is quick, strong and scores goals. As well as being powerful he is a good footballer as well. I really do think he could do a job for Arsenal because he offers something a bit different. He doesn’t mind taking a whack rather than getting his greased-back quiff in place and moaning to the referee, and if you think I am talking about Giroud you are 100% correct.